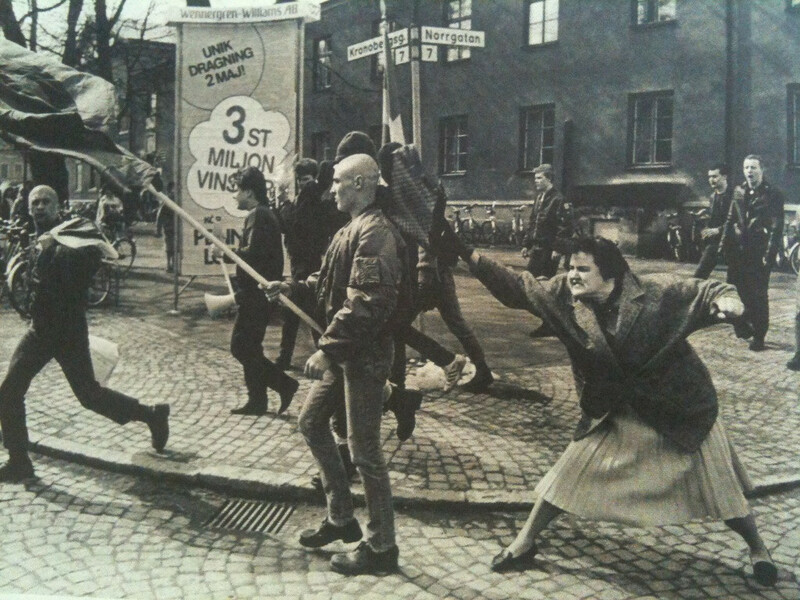 The photo was taken at a provocative demonstration by ten Neo-Nazis at the corner of Norrgatan-Kronobergsgatan in Växjö (very close to another demonstration by the communist party). The Nazis were attacked by the public and chased to the Växjö train station where they locked themselves in the bathroom - and had to be rescued by police. Hm. Un text bun. Vivat virgulele!